Banda Aceh (25/10/2017). Wildlife is coming to the attention of many parties, especially the health sectors, considering the diseases of wildlife which are potential zoonoses. 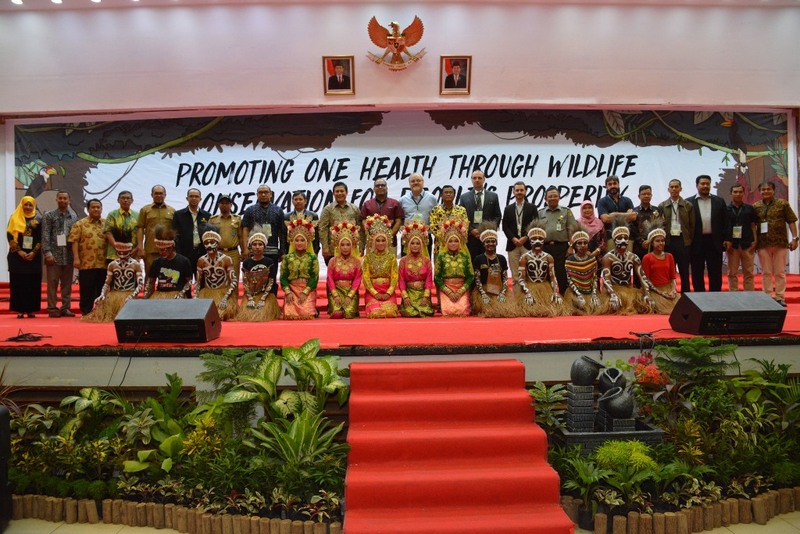 Under the theme of "Promoting One Health through Wildlife Conservation for People’s Prosperity", wildlife health issues were the main discussion topics at the 4th International Wildlife Symposium (IWS), organized by the World Wildlife Fund (WWF) in collaboration with FAO ECTAD Indonesia and Syiah Kuala University in Banda Aceh on 23-25 October 2017. The spread of infectious diseases originating from animals has become very alarming in recent decades. 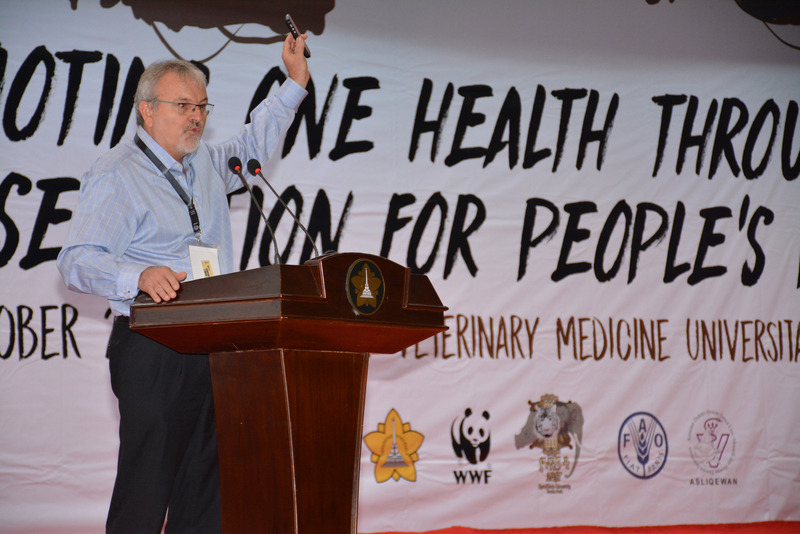 In his opening speech, the Director of Veterinary Public Health Drh. Syamsul Ma'arif, MSi, stated, "Spanish Flu claimed 19 million lives, HIV that emerged in 1981 claimed 25 million lives, also Avian Influenza and Swine Flu claim even more lives; not to mention MERS-CoV, Nipah, Hendra, and many more. All these diseases emerged from animals. Are we ready to face the next pandemic?" In collaboration with IWS, FAO and the Ministry of Agriculture organized this One Health Workshop, which was followed by 80 participants from academia, NGOs, and the government sector. Unlike other workshops held by FAO Indonesia, the participants of this event were predominantly veterinary students of Syiah Kuala University. Therefore, this workshop aimed to equip future veterinarians with One Health knowledge to be used for disease control when practicing their profession after graduating from university. Ichwan M. Mihardja from the Directorate of Biodiversity Conservation, Ministry of Environment and Forestry (MOEF), delivered a presentation on One Health Implementation in Wildlife Conservation; emphasizing that the MOEF is responsible for the prevention, early detection, and rapid response to diseases causing public health emergencies emerging from wildlife. "Accordingly, the MOEF needs a larger number of medical personnel than currently the case, as mentioned in MOEF Regulation No. 31 / 2012 that the availability of veterinarians is a requirement in all conservation agencies. This is one of the One Health approaches being implemented in the Ministry of Environment and Forestry," he added. Drh. Muhammad Syibli, Head of the Sub Directorate of Animal Disease Prevention and Control, Ministry of Agriculture (MOA), explained the development of MOA One Health activities and the integrated management of zoonoses. This was followed by a presentation from Dr. Romadhona Triyada from the Directorate of Vector-Borne and Zoonotic Diseases Prevention and Control, Directorate General of Disease Prevention and Control, Ministry of Health on the implementation of One Health in the human health sector. The last session was a gallery walk, where workshop participants were asked to observe poster presentations and write summaries from the presentations. The workshop was closed by Drh. Sybli who highlighted the work opportunities that have opened for young veterinarians from Syiah Kuala University. 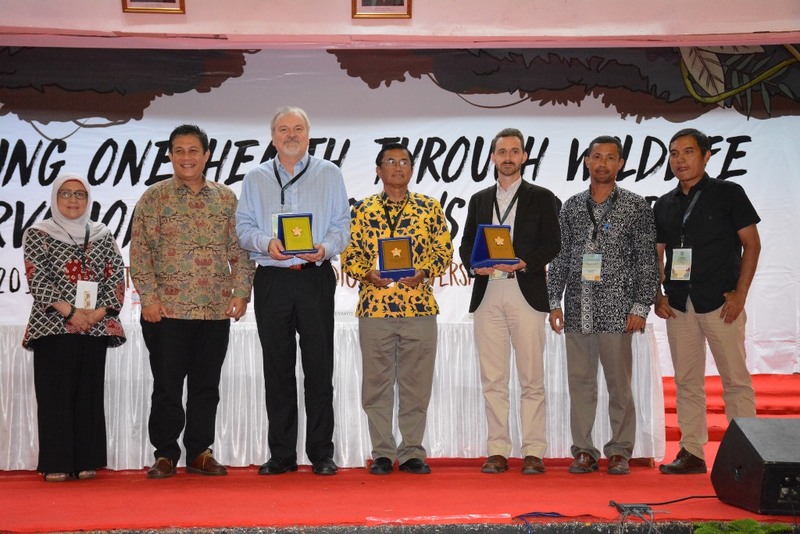 He also encouraged them to establish collaboration among sectors through use of the One Health approach to overcome zoonoses and new infectious diseases in Sumatera Island.